UNITED NATIONS, Apr 17 2019 – A year since Nicaragua spiralled into a socio-political crisis, human rights leaders have called on the country to refrain from violence and uphold the human rights of its citizens. 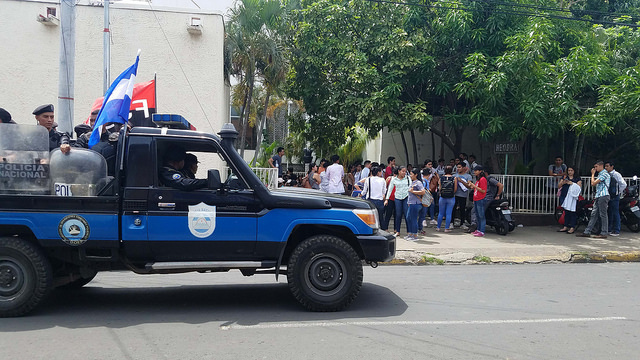 In light of blatant, persistent human rights violations, United Nations agencies and human rights groups have urged the Nicaraguan government to halt its brutal crackdown on its citizens. “Throughout the last year, the government of President Ortega has brutally and repeatedly repressed anyone who dares to stand up to his administration. 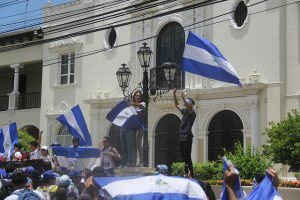 The Nicaraguan authorities continue to violate the rights to justice, truth and reparation of hundreds of victims, while also preventing civil society organisations and international human rights monitors from working freely in the country,” said Amnesty International’s Americas Director Erika Guevara-Rosas. “This has got to stop,” she added. “Violations…coupled with the lack of accountability for unlawful excesses by members of the security forces, have stoked rather than reduced the tensions in the country,” said High Commissioner for Human Rights Michelle Bachelet. After thousands took to the streets to protest controversial social security reforms in April 2018, demonstrations were quickly met with violence by state security forces and pro-pro-government armed groups. According to the Office of the UN High Commissioner for Human Rights, over 300 people have been killed, more than 2,000 injured, and 2,000 arrested. The Central American country has also since banned all protest and censored media in order to prevent any government criticism. At least 300 others, including human rights defenders, face charges of terrorism. The High Commissioner particularly expressed concern over reports of torture and ill-treatment of detainees, including recent reports of authorities beating and using dogs and tear gas on detained protestors in La Modelo prison. As major protests are expected to mark the anniversary of the start of the crisis later this week, many fear another violent reaction. The targeting of dissidents and protestors have prompted a massive exodus as an estimated 60,000 people have fled to neighbouring countries, including Costa Rica. Among those seeking asylum are students, opposition figures, journalists, doctors, human rights defenders and farmers. After several attempted attacks and being informed that he was wanted “dead or alive,” Manuel left his banana plantations and fled to Costa Rica with his pregnant wife Andrea and their two children. “We lived with the anxiety of not knowing when they would break into the house to get us…I’m sure if I go home they will hurt me,” Manuel told UNHCR. Taking great lengths to avoid police, Manuel took a small boat along the Pacific Coast while Andrea walked through a back route of muddy fields with the children. While they are now safe in the neighbouring country, Manuel and Andrea’s children are still haunted by their last days in Nicaragua where they were hunted by gun-carrying men in uniform. “My youngest son hugs me every time he sees the Costa Rican police because they look like the officials who attacked us. He hugs me and says that he takes care of his daddy,” Manuel said. While the Nicaraguan government and the opposition Civic Alliance for Justice and Democracy negotiated two pacts, including one on the release of detained protestors, the agreements have still yet to be implemented in its entirety and further negotiations have stalled. “The fact that the negotiations have come to a standstill and the Government is not honouring the agreements reached so far, is undermining the possibility of establishing a genuine inclusive dialogue to solve the serious social, political and human rights crisis facing the country,” Bachelet said. “A solution to the crisis must address the institutional flaws and strengthen the rule of law…it is of paramount importance that a thorough and transparent accountability process is established to ensure justice, truth and reparations, as well as a clear guarantee of non-repetition,” she added, highlighting the need to put victims of human rights violations at the heart of negotiations.